For most of my life, I have participated in music, academics, competitive athletics and strength training. My strength training and athletic background taught me the value of discipline, motivation and hard work to achieve results in my physical performance. However, an achievement and performance oriented mindset was not sustainable, and I began to suffer physical and psychological dis-ease. In 2005, a gym-buddy suggested I try yoga to help with flexibility and stress reduction. 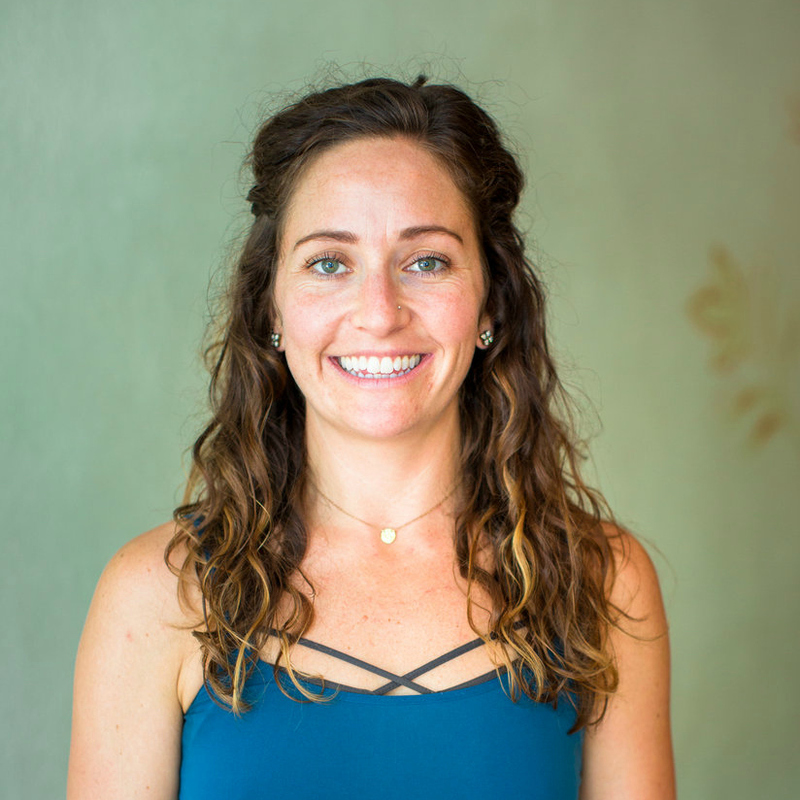 I became a regular yoga practitioner, alongside my athletic training, and in 2013 I took my first yoga teacher training program. In my time spent practicing and teaching yoga I rediscovered my connection to the healing power of music, learned about the benefit of stillness meditation and the importance of rest, and continue to work on unconditional acceptance of things just as they are. Practicing and teaching yoga and strength training has allowed me to find a more embodied, balanced lifestyle and I feel privileged to share my experience with others. My classes include stillness/breathing meditation; self-massage and release work, using rollers and balls; fundamental strengthening to gain deep-belly core awareness; flow sequences to challenge the brain and balance the energy; relaxation postures to stimulate the parasympathetic nervous system; chanting practice during and after savasana, participation is optional. I consider myself a lifetime student of this practice and I enjoy teaching to all abilities. I seek to create a collaborative learning environment, as we navigate this fun and complex work. Join me for an exploration into this subtly transformative and dynamic practice.